Thank you for a great new release, it's very much appreciated! Can you please clarify whether these files, especially the image format plugins, are critically required and when they are needed. 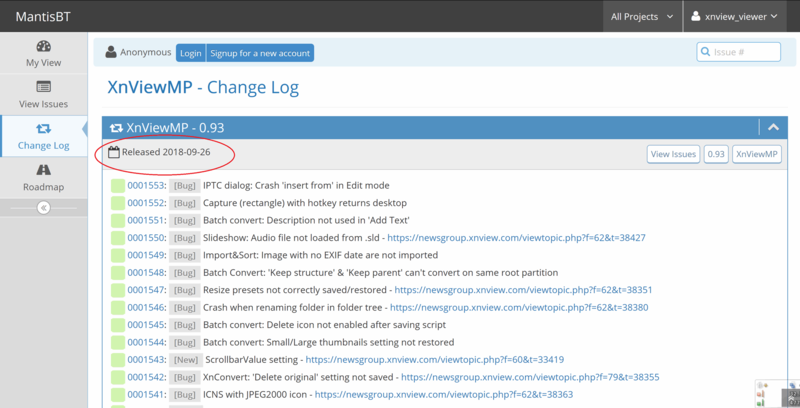 Because, for example XnViewMP is able to display JPG images and convert to the JPG format without the availability of the JPEG image format plugin. So, can you please confirm whether all the image plugins located in the folder \Plugins\ImageFormats\ can be safely removed? I believe XnViewMP has its own internal management routines of icons, so this file probably is not required, too? Hi! Thank You for XnView! I use XnView on Windows PC's with great pleasure very long time! Just tried to install XnViewMP on ARM-based Armbian (Debian) powered devboard OrangePi +2. This is the only thing I missed on OrangePi. After the installation trying to start the program from the menu. Nothing is happening! Can You help me to make XnViewMP working? May be, I need to install some dependencies or something else? when you start xnview from a terminal command, what do you have? Tried to start from terminal with "sudo xnviewmp", "sudo xnview", "sudo xnviewmp-linux". The ansver is "no such command". What correct command must I enter from a terminal to test and get error messages? This is a screenshot after installation and terminal start. Hi! "sudo xnview" also without result. Also no reaction from click in the menu "Graphic->XnView Multi Platform". Nothing happening when I try to start the XnView executable. What should I install by one command to make XnView work?